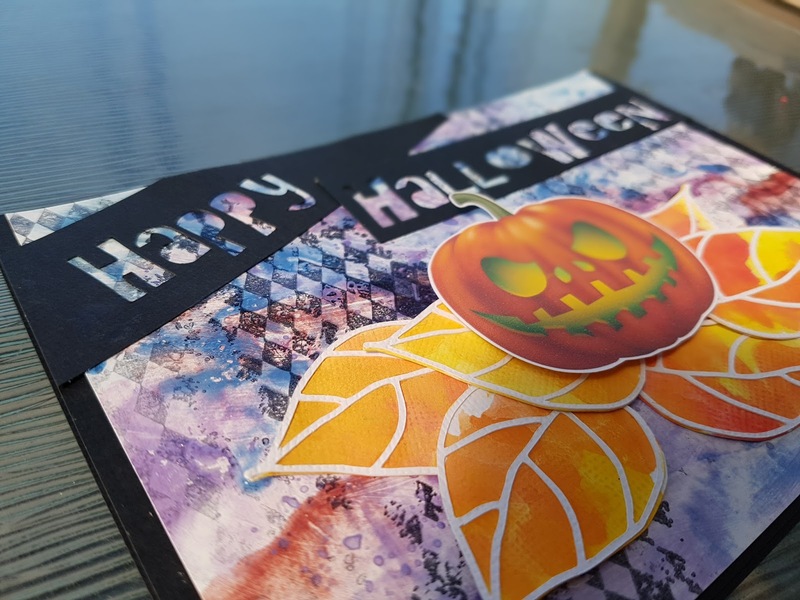 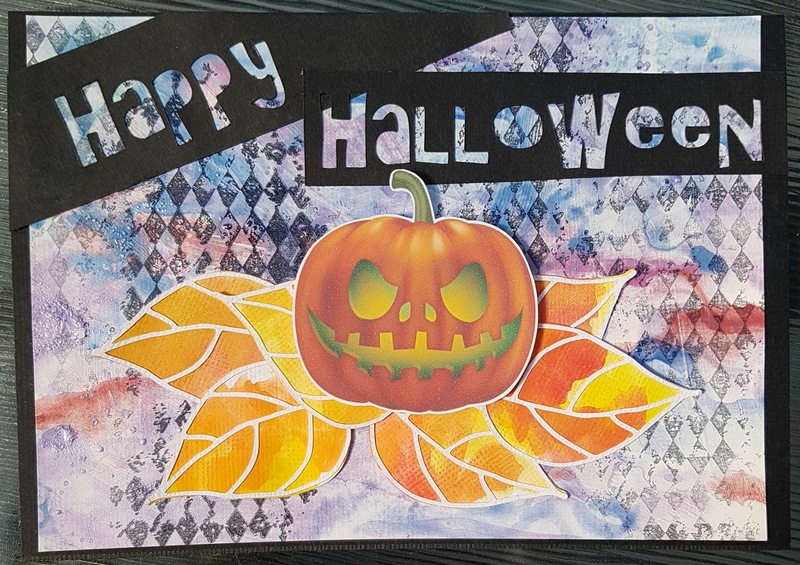 Today i am sharing a Design Team post for Hiding In My Craft Room Challenge blog - a Halloween Card. I have created a background using some Pearlescent watercolors and Stamping with StazOn black in. The leaves i have created in one of the previous projects so check out my blog for a tutorial. 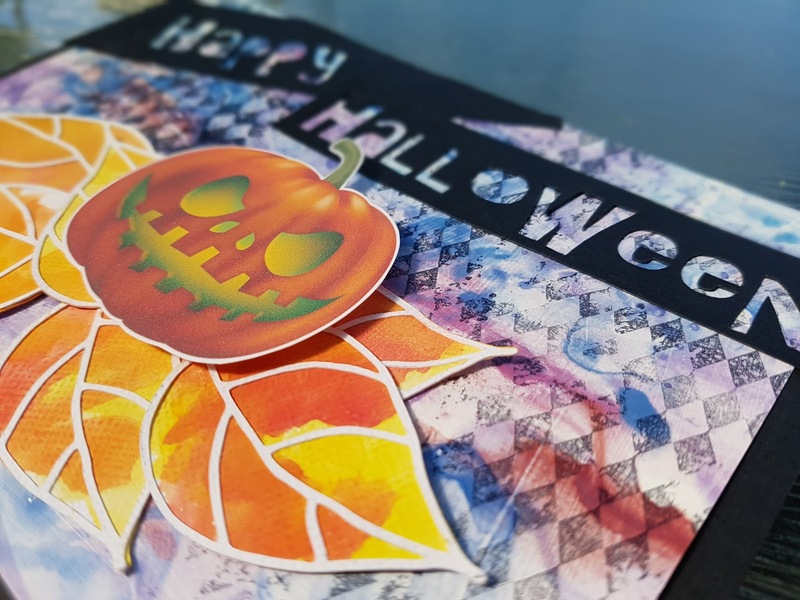 Picture of a pumpkin was printed from the internet and cut out with my scissors. Check out the process video below on how i created this card start to finish.